#ROWING: Sam McKeown of Portadown won the intermediate single sculls, beating Damien Kelly of Garda, at Limerick Regatta today. The St Michael’s men’s senior pair came out on top and Portora won both the junior 18 and junior 16 men’s eights. Patrick Munnelly of Athlone won the final of the men’s junior 18 single sculls. The event had to be delayed for over an hour because of inclement weather and junior 14 events were cancelled. However, a meeting at the venue decided that the Irish Schools Regatta on Sunday will go ahead. Eight – Junior 18: 1 Portora, 2 St Joseph’s, 3 St Michael’s. Junior 16: 1 Portora, 2 Col Iognáid, 3 St Joseph’s. Masters: St Michael’s. Four – Senior: 1 Skibbereen, 2 St Michael’s. Pair – Senior: 1 St Michael’s, 2 Neptune, 3 Shannon. Sculling – Quadruple – Club Two: 1 Cork B, 2 Shandon, 3 Cork A. Junior 15, coxed, Final One: 1 Shandon A, 2 St Michael’s, 3 Killorglin. Final Two: Castleconnell. Single – Intermediate: 1 Portadown (S McKeown), 2 Garda (D Kelly), 3 St Michael’s (D O’Connor). Junior 18: 1 Athlone (P Munnelly), 2 Graiguenamanagh (A Lennon), 3 Castleconnell (N Meehan). Eight – Junior 18: 1 Portora, 2 St Michael’s, 3 Galway. Sculling, Quadruple – Junior 18: 1 Lee, 2 Fermoy, 3 Offaly. Double – Junior 15: 1 Workmans, 2 Fermoy, 3 Lee A. #Drowning - The Irish Times reports that the body of a man who fell into the River Shannon while on a night out in Athlone has been recovered. The victim, in his 50s, was with friends when he apparently slipped off the wall of Town Bridge late last night (7 September). A postmortem is due and Gardaí are investigating the incident. #RNLI - It was a busy June bank holiday weekend around the country for RNLI lifeboats in West Cork, Mayo and the Midlands. On Sunday afternoon, Baltimore RNLI assisted four people after their yacht got into difficulty a mile south of Mizen Head. The 32ft yacht with four people on board had been propped by a pot buoy immobilising her in the water. The alarm was raised at 10.41am and lifeboat the Alan Massey was launched minutes later. A local RIB, which had commenced towing, passed the tow to the lifeboat and the yacht was then taken to the safety of Crookhaven Pier. This was the second call out this week for Baltimore RNLI. On Thursday last three men were rescued when their punt overturned near Horse Island. Later on Sunday, Achill Island RNLI in Co Mayo brought a distressed fishing vessel with seven people on board to safety. The volunteer lifeboat crew was requested to launch at 4.50pm to assist a small fishing vessel in the vicinity of Clew Bay and close to Clare Island. The vessel had encountered engine problems and was unable to return to port. The boat and its crew of seven were subsequently towed safely to Curraun harbour by the Achill Island RNLI lifeboat. Speaking after, Achill Island RNLI lifeboat operations manager Tom Honeyman said: "The presence of thick fog surrounding the vessel meant that great care was needed in the rescue and the fishing party of the vessel were delighted to return empty handed for a change." Meanwhile in the Midlands, Lough Ree RNLI brought five people to safety in two call-outs over the weekend. On Friday 31 May the volunteer crew was requested to launch around 5pm following a report that a cruiser had ran aground north of Quaker Island. A local fisherman raised the alarm after spotting the cruiser on the rocks at the island located in the north end of Lough Ree raised the alarm. The lifeboat crew managed to establish contact with the person on board the cruiser via mobile phone and he had confirmed that he had got lost and had ran aground. He reported that there was no water entering his boat. He was on his own but not injured. The inshore lifeboat was launched and the crew was on scene at 5.30pm. It took the lifeboat 10 minutes to safely navigate its way through the rocky area to reach the casualty. The person on board the cruiser was taken to shore and arrangements were made for a specialist company to attend the scene to recover the cruiser. Lough Ree RNLI was then launched on Sunday evening to assist a 26ft cruiser which had ran aground east of Green Island after sustaining engine failure. The small cruiser with a family of four on board had lost engine power and had ran aground on the south east side of Lough Ree. A crew launched the lifeboat at 8.40pm and arrived on scene 10 minutes later. After one of the lifeboat crew had carried out an assessment of the causality vessel, the decision was made to make an attempt to pull the vessel from the rocks, which the lifeboat was successfully able to complete. Once the lifeboat had the vessel in deep water, a tow was set up and the casualty vessel was taken to Quigleys Marina in Athlone. It marked the continuation of a dramatic week for the Lough Ree crew, after six were rescued from a sinking cruiser on the lough last Tuesday 28 May. The lifeboat crew with Lough Ree RNLI launched today (Tuesday 28 May) at 12.08pm to a sinking cruiser south of Athlone, with six men onboard. The vessel was reported to have struck an object under the water and was holed and taking in water. When the lifeboat arrived on scene they moved quickly to take the six men, believed to be in their twenties, off the sinking cruiser. The lifeboat crew took the first three men off the vessel and brought them the short distance to Athlone before returning to take the remaining three off the vessel. With all six men safely ashore the lifeboat crew returned to the scene and observed that the vessel was submerged with only the bow visible out of the water. They alerted the Coast Guard and Waterways Ireland to issue a warning to other marine traffic in the area before returning to the lifeboat station. Commenting on the callout Lough Ree RNLI Operations Manager Damien Delaney said, "I am relieved that all six people onboard the cruiser were recovered safely as the water was coming in quickly. All the men remained calm and listened to the instruction of the lifeboat crews, which resulted in a safe and speedy evacuation with nobody injured. #Diving - The Irish Underwater Council (CFT) reports the "huge success" of the 22nd annual Dive Ireland expo in Athlone at the weekend. The two-day event at the Hodson Bay Hotel welcomed "speakers from near and far as well as photography workshops and a fully loaded international trade fair" - not to mention the CFT National Dive Conference and AGM. Ahead of the expo, Minister for Arts, Heritage and the Gaeltacht Jimmy Deenihan commented on the role of SCUBA clubs and diving centres in Ireland's national tourism infrastructure in promoting this country's dive sites. In the foreword to the recently published Warships, U-boats and Liners, he also wrote of the Government's commitment to developing its archive of wrecks in Irish waters. According to the CFT, local authorities are also starting to recognise the importance of developing aquatic activities to encourage tourism. One example is Mayo County Council's Blue Ways list of swimming and snorkelling sites along the county's coast, which complements its Green Ways walking trails. The council also highlighted the importance of heritage among Ireland's diving community, and their role in discoveries such as the Viking-era swords retrieved from the River Shannon near Banagher last autumn, as the Offaly Independent reports. #Lifeboats - RTÉ News has a video report on a memorial to lives lost on the Shannon recently installed at the location of Lough Ree's new lifeboat station. Relatives of those lost to the waterway spoke of their appreciation for the setting up of the new search and rescue base for the mid-Shannon after a decade of campaigning. As reported on Afloat.ie last July, the RNLI's 44th lifeboat station in Ireland - located at Coosan Point in Athlone - Co Westmeath, has been welcomed as a search and rescue asset on Lough Ree and the Shannon. Some €150,000 has been invested in the temporary facilities, from which volunteers operate the B class Atlantic 75 lifeboat Dorothy Mary, on a year-long trial basis. According to RNLI Lough Ree's Matt Harte, the new station was among the busiest in Ireland last year, with up to 20 call-outs in its six months of operation thus far. #Diving - The Dive Ireland expo heads to Athlone in 2013 with a full weekend of speakers, exhibits and workshops for divers and snorkelers of all levels. This year's hosts at the Athlone Sub Aqua Club have announced details of the 22nd-annual dive show from 2-3 March 2013 at the Hodson Bay Hotel, which also doubles as the AGM for the Irish Underwater Council (CFT). Speakers lined up for this year include renowned wreck diver Barry McGill, cave divers Jim Warney and Jason Masterson, limit-pushing free diver Feargus Callaghy and snorkelling advocate Victor Kutischev, as well as representatives from marine wildlife conservation group Sea Shepherd. Just like last year, Dive Ireland 2013 will also feature a wide array of exhibitors to cater for all types of diver interests - and entry for each day costs just €5. The Athlone Sub Aqua Club has more details on the Dive Ireland 2013 programme HERE. 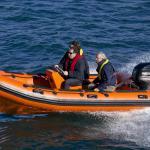 Powerboaters have been asked to heed their wash when passing vessels under sail. The request comes on the eve of the Shannon One Design (SOD) long distance race. 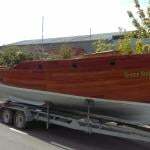 SODs will race from Athlone lock to Banagher harbour on Sat the 25th and from Banagher to Portumna bridge on Sun 26th. This year's Lough Ree International Pike Festival will also play host to the Pike World Cup in Athlone, Co Westmeath, from 13-15 April. The current festival format remains unchanged, but The Irish Times reports that the Pike World Cup will go to the boat with the longest total length of pike over three days of fishing, counting one fish each day. The tournament - with total prize money of €28,000 up for grabs - is open to all anglers, though there is a maximum entry limit of 100 boats, or 200 anglers. For more details visit pikefishinginireland.com or contact Dave Houghton at 071 964 2743. This year's Lough Ree International Pike Angling Festival will also play host to the Pike World Cup in Athlone, Co Westmeath, from 13-15 April. Lakeside marina are getting on with improvements, recession or not. It's out with the old and in with the new in Athlone as Lakeside on the inland waterways extends and removes all older jetties and replaces them with state of the art jetties, electrics and lighting. The Athlone and Lough Ree area has always been a preferred choice for moorings, even more so recently as its proximity to Dublin, connected by motorway is only an hour away. When the project is finished in May 2011, Lakeside marina will have modern facilities for 150 boats, indoor winter facilities for 50 boats, lift-out for up to 50 tons, its own transport company, on-site chandlery, on-site Clubhouse and full mechanical and technical back-up.